A word of advice to my readers about Korean vs. Japanese snacks - there is a lot of overlap between the markets. 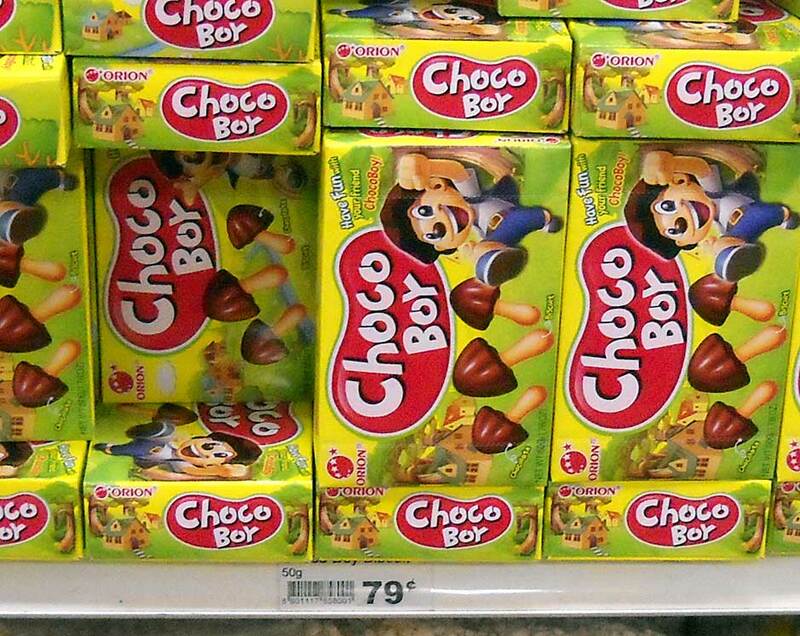 It's not only Lotte, which operates big time in both countries, but many other snacks as well. I've discovered that many of the products I saw in Japan were identical to Korean ones. If you want to try "Japanese" snacks, you can often just buy the Korean versions and it's the same food with different packaging at an often significantly lower price. The item pictured above is a pretty good example. 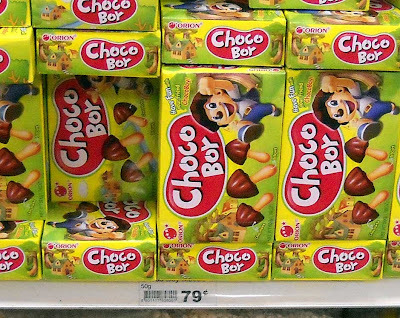 These "Choco Boy" cookies look very much like the "kinoko no yama" cookies that are easy to find in Japan (and in my area as well). The big difference is the price. You can't get the Japanese cookies any cheaper than $1.50 per box in my experience and these are a mere 79 cents. One of these days, I'll pick up a box of these and try them for comparison. For now, I'd just like to say that sometimes cheaper is not only just as good, but precisely the same.